Balsamand is located in Jodhpur, Rajasthan. The Balsamand Palace situated over the Balsamand Lake (an artificial lake) is a splendid example of the Rajput style of architecture. The palace is built all in red sandstone. The lush green gardens surrounding it add to the beauty of the structure. The Balsamand Palace served as a residence to the royal families of Jodhpur. Balsamand is an ideal location for spending laid back holidays. 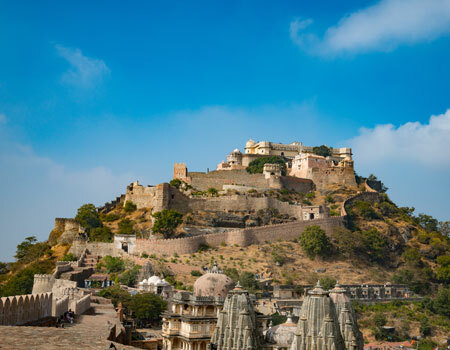 District Rajasmand in Rajasthan is located at a distance of 60 kilometres off Udaipur. The Lake Rajasmand present here is of great interest for the tourists visiting this place. Lake Rajasmand is believed to be the most beautiful lake of the state. The view of the sunset at the lake is simply splendid. Magnificent 'chhatris' and 'torans' adorn the lake. The gardens around the lake add to its beauty.